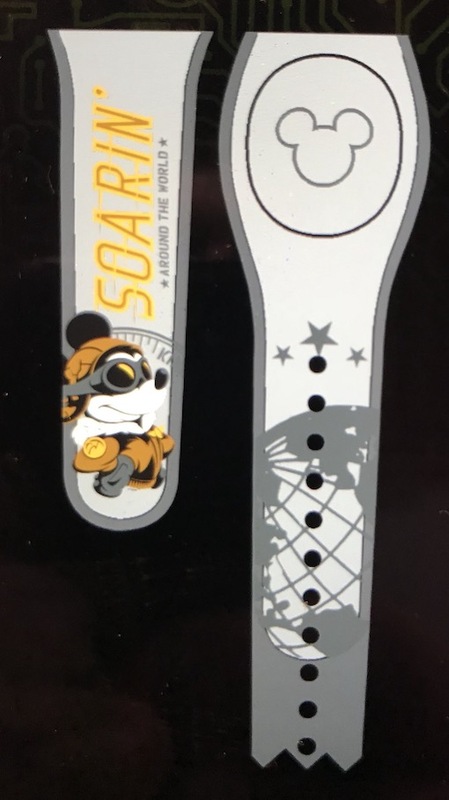 A new Soarin’ Around the World design has been made available today at MagicBand On Demand kiosks. These may not be at all kiosks, but you can find them at Disney Springs, Magic Kingdom, and Hollywood Studios. You can get this design on any original solid colors, as well as on black and purple. Thanks to Twitter user All Around Orlando‏ for the tip and picture.